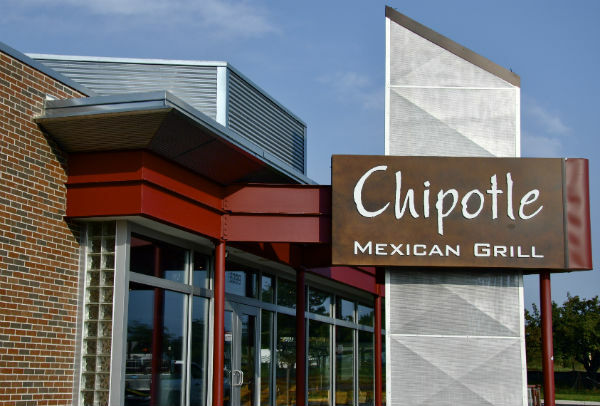 A recent study found food at fast-casual restaurants like Chipotle actually has more calories than fast food. It is no secret many Americans are gravitating toward a healthy lifestyle, with millennials leading the way. And no other industry has seen the effects of this health consciousness trend more so than the food industry. Fewer millennials are turning to fast food restaurants as their go-to option for a quick meal in an effort to avoid eating calorie-laden food. Instead, Americans have embraced fast-casual restaurants that are offer the same quick service because of the perception that these restaurants — like Chipotle, Panera Bread and Five Guys — provide a healthier fare. But with 1 in 4 Americans eating some form of fast food daily, are Americans really eating healthier on the go? A recent study by the Arnold School of Public Health from the University of South Carolina has found that despite an inflated price tag and more personalized service, food at fast-casual restaurants may contain more calories than fast food. The researchers compared more than 3,000 entrees and found the average meal at a fast-casual restaurant had 200 more calories than the average meal at a fast food restaurant. Additionally, the portions served at fast-casual restaurants were much larger than the fast food meal portions, often exceeding 640 calories. Although most fast-casual restaurants list calorie counts on the menu, a study in the Journal of Consumer Research found that consumers tend to underestimate the calorie count of main dishes when dining at fast-casual restaurants that claim to be healthy. This "health halo" phenomenon also sometimes causes consumers to order high-calorie side dishes and sugary drinks or desserts as a treat to themselves for ordering a low-calorie dish. But Americans are trying. A recent JAMA study found Americans are eating more whole grains, nuts and seeds and are cutting back on sugary soda, starches and refined grains. The study examined the eating habits of 34,000 adults 20 years old or older from 1992 to 2012. However, the study also found people were still eating too much sugar and processed food. And the groups eating less healthy were separated by race and income, with Hispanics, African-Americans and the poor eating the least healthy. These disparities may account for what the authors ultimately found: 46 percent of Americans still have an unhealthy diet. So what is considered a "healthy" diet? According to the Food and Drug Administration, a healthy diet includes limited meat and poultry, balanced calories, 4.5 cups of fruits and vegetables a day, whole grains and low-fat or fat-free dairy products. Sodium intake should also be limited to less than 2,300 milligrams per day. This last aspect of a healthy diet may be the hardest to keep in check when eating on the go: The average American consumes 3,400 milligrams of sodium per day, which increases the chances of developing high blood pressure. And since fast food chains are notorious for including large amounts of sodium in their foods, healthy eating can becoming challenging when in a rush. Aware of the trend toward health-conscious eating, fast food chains and fast-casual chains are working to make healthy eating easier for those who want to grab a quick meal. In recent years, fast food companies have been working to add healthier options to their menus. Fast food behemoth McDonald's has seen an increase in sales since adding salads with kale, quinoa and cage-free eggs to its menu. Fast-casual chains are also catching on: Pei Wei just announced a new summer menu focused on healthy salads that incorporate antioxidants in an effort to appeal to health-minded consumers. New health-focused fast-casual chains have emerged to expand the options for consumers looking for a quick and healthy meal. LYFE Kitchen, a fast-casual chain founded by two former McDonald's executives, promotes its low-calorie menu with no food item over 600 calories. The chain also lauds itself for being affordable, an important component that many health-focused restaurants have struggled to provide. It's a hurdle that Kimbal Musk, brother of Elon Musk, hopes to overcome with his new fast-casual concept. The new chain, called The Kitchenette, will be a grab-and-go restaurant featuring healthy soups, sandwiches and salads for less than $5. If the concept proves to be successful and other food chains begin to follow suit, a healthy and quick meal could become more accessible for people of all income levels. With the obesity rate in the U.S. currently at 34.9 percent, there is room for improvement in the typical American diet. The high-calorie, high-fat food items at fast food and fast-casual restaurants still exist, but both are making an effort to provide their consumers with healthier options and the nutritional information needed to make an informed decision. If Americans continue to strive for a healthy lifestyle, which recent data points to, fast food and fast-casual chains will have to continue to provide inventive healthy menu options in order to stay relevant.